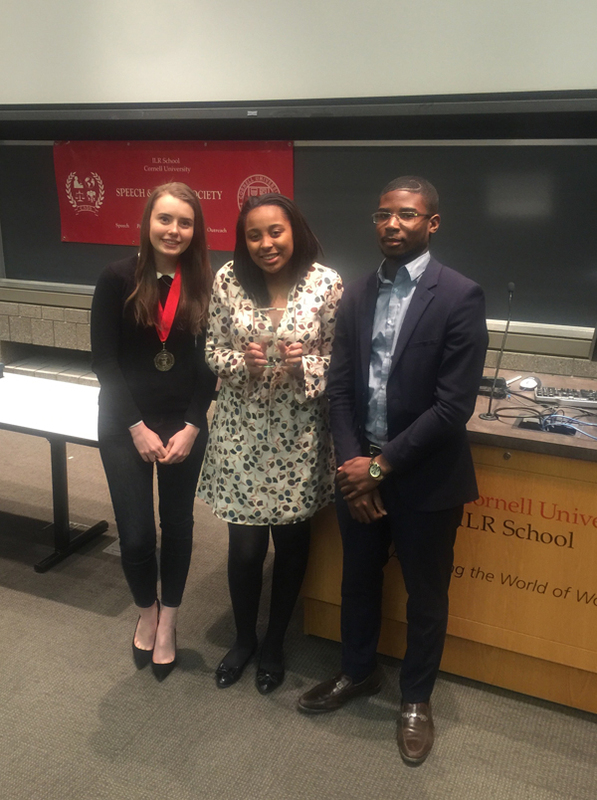 The Bermuda National Debate Team made a strong showing this past weekend at the Alfred Tuna Snider World Schools Debating Championships, hosted by the Cornell Speech and Debate Society at Cornell University in New York. 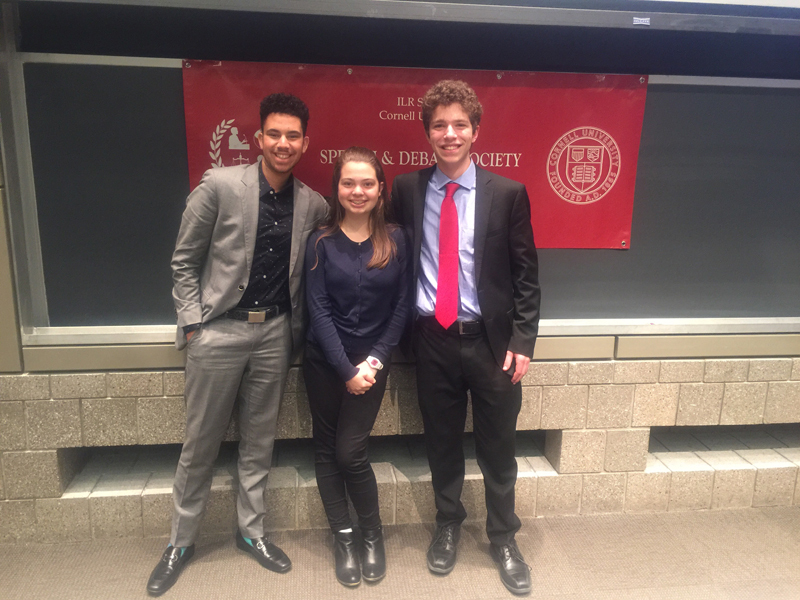 The team — which is training toward the premier World Schools Debating Championships to be held in Bali, Indonesia this August — was split into three-person teams. 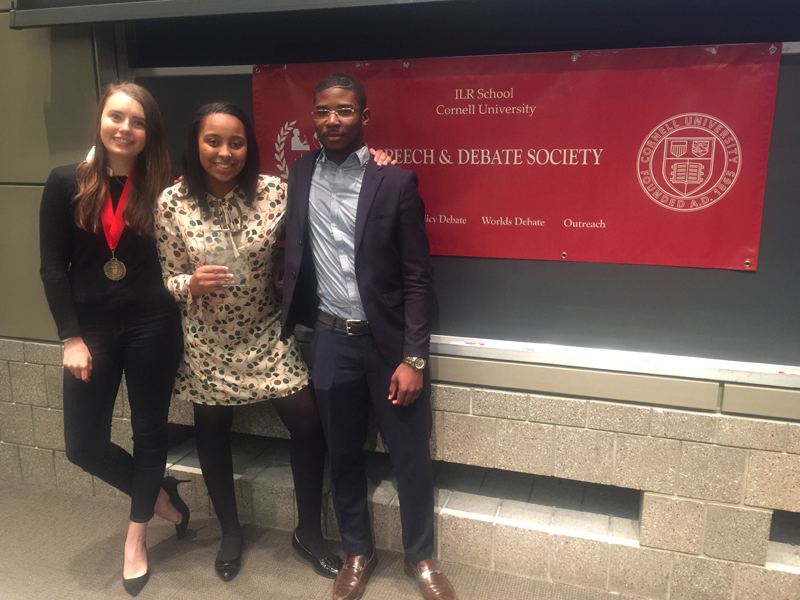 Tyrese Coakley [Berkeley Institute], Megan Sutcliffe [Bermuda High School] and Asha Symons [Warwick Academy] formed Team A, while Yasser Baia [Berkeley Institute] and Erin Jones [Bermuda High School] formed Team B. As the other team member for B, Sierra Brangman [Berkeley Institute], was unable to travel with the team, Team B had a guest debater from University of Toronto Schools, Michael Kanter, to enable them to actually debate the rounds. Bermuda Team A broke into the semi-finals of the Tournament by winning four out of six of their preliminary round debates on unanimous decisions. Team A lost one debate in a split decision, while one loss was unanimous. Team B won two preliminary round debates unanimously. 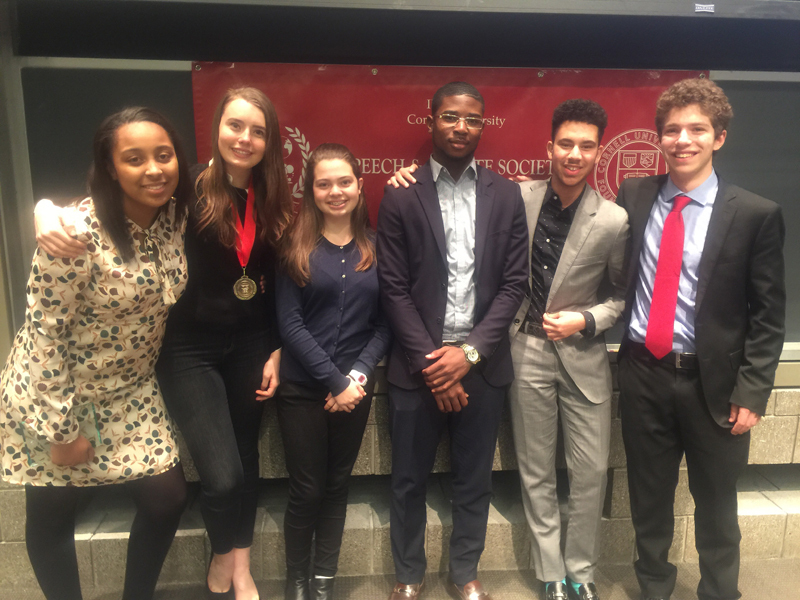 Two debates were lost on split decisions, while two other preliminary debates were lost unanimously. In the semi-finals, Team Bermuda A lost to a collective known as Toronto Mix, with the Toronto Mix eventually announced as winners of the Tournament after success in the Grand Final. 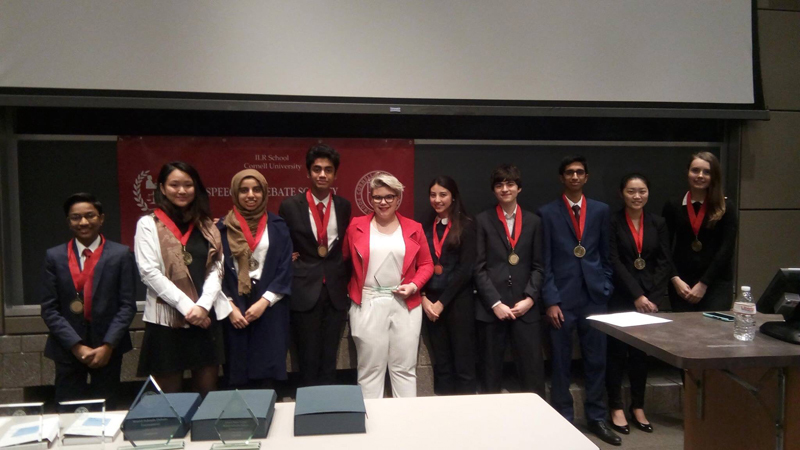 The Tournament, named after eminent debate coach and University of Vermont Edwin W. Lawrence Professor of Forensics Alfred Tuna Snider, awarded prizes for Top Individual Speakers based on individual score cards. Megan Sutcliffe, Captain of Team Bermuda, was awarded the medal for having individual speaking points high enough to place her in second place. Asha Symons just missed an individual speaking award with a speaking score that placed her in eleventh position. The team is coached by Barrister and Attorney Akilah Beckles, herself a former Bermuda debater. Ms Beckles is assisted by Dr. Wanda Gibson, biology teacher and debate coach at Mount St. Agnes Academy. The team, selected from among twelve interested candidates in February, trains twice a week at the offices of Cox Hallett Wilkinson Limited in Hamilton.